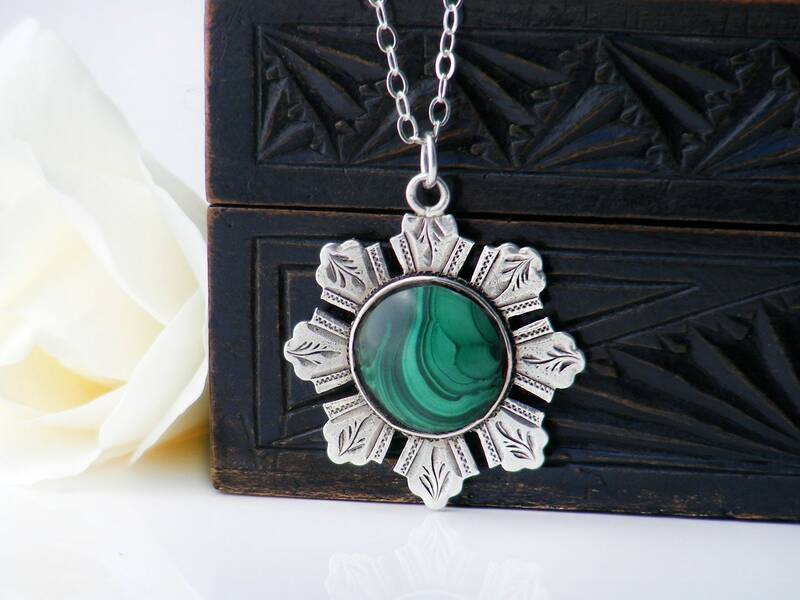 A Victorian era sterling silver fob pendant with an inset cabochon of vivid emerald green Malachite. 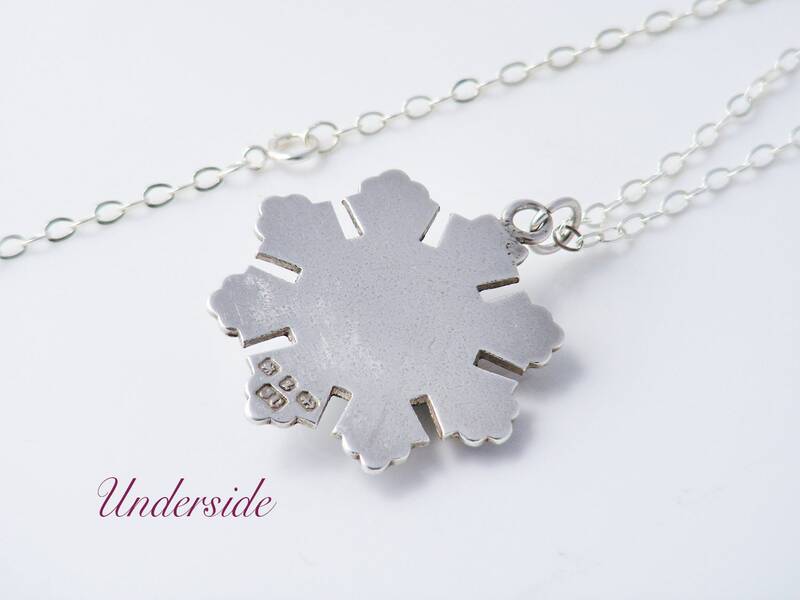 The medal is a sunburst design with tiny leaves chased on each ray. 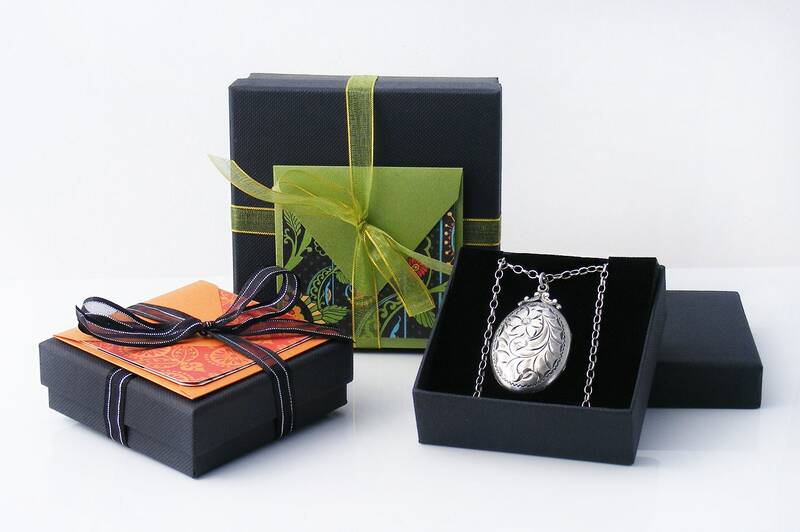 Originally made as an ornament for a pocket watch chain, this unusual piece is nicely weighted and fabulous worn as a unique pendant. Sterling silver, with full hallmarks for the the Assay Office of Birmingham, England and the year 1899. The makers mark 'JC' is also present; this is the stamp of silversmith John Culver of Birmingham. Size: 1.25 inches or 32mm diameter and just over 1mm in thickness. 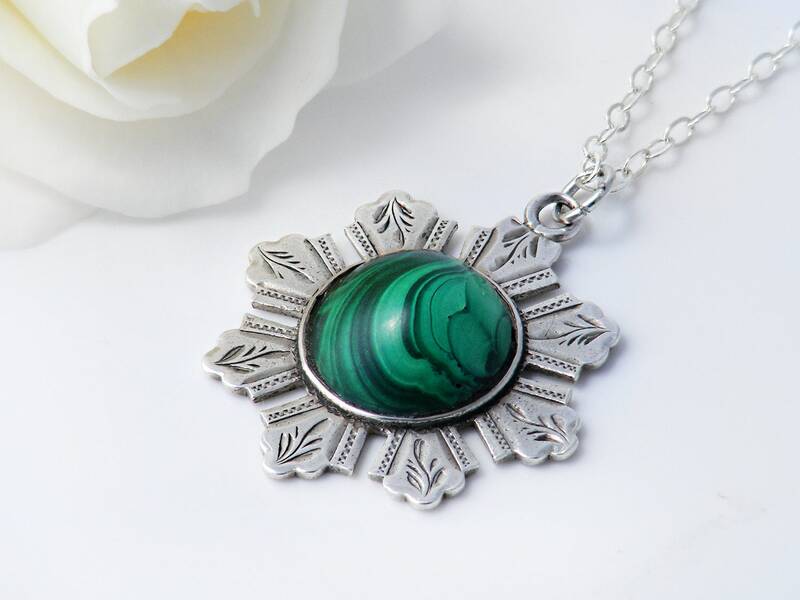 The malachite cabochon is .51 inches or 13mm diameter and domes to 5mm high. Age: 1899 - 119 years of age. Condition: Very, very good. Nice natural patina to the sterling silver, no chips or scratches to the stone. 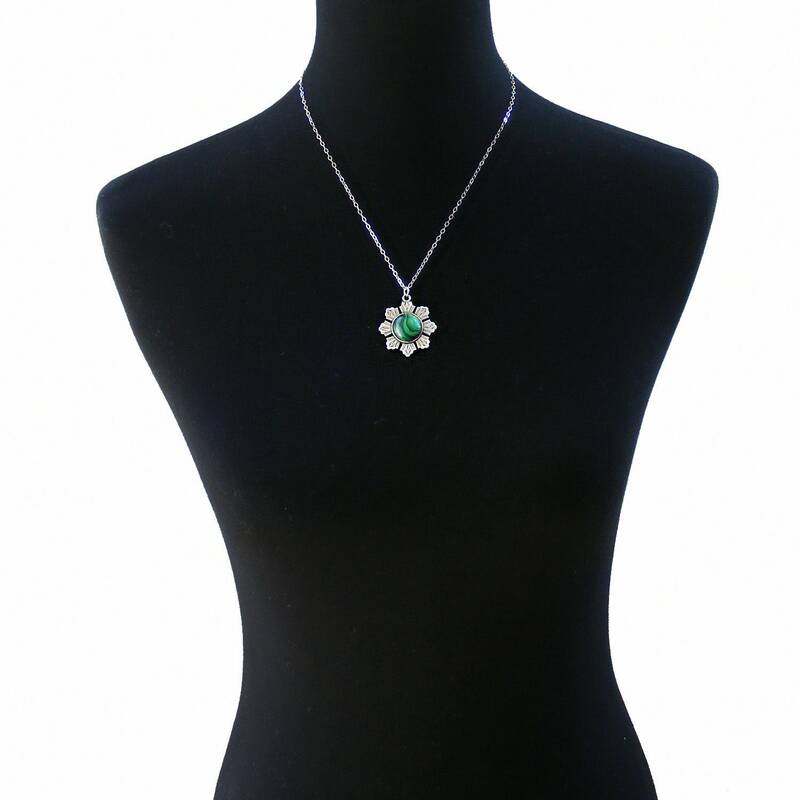 The pendant is presented on a new sterling silver chain, 20 inches or 51cm long and stamped for 925 sterling on the clasp. Pendant and chain are shown on a life size torso in image #3. 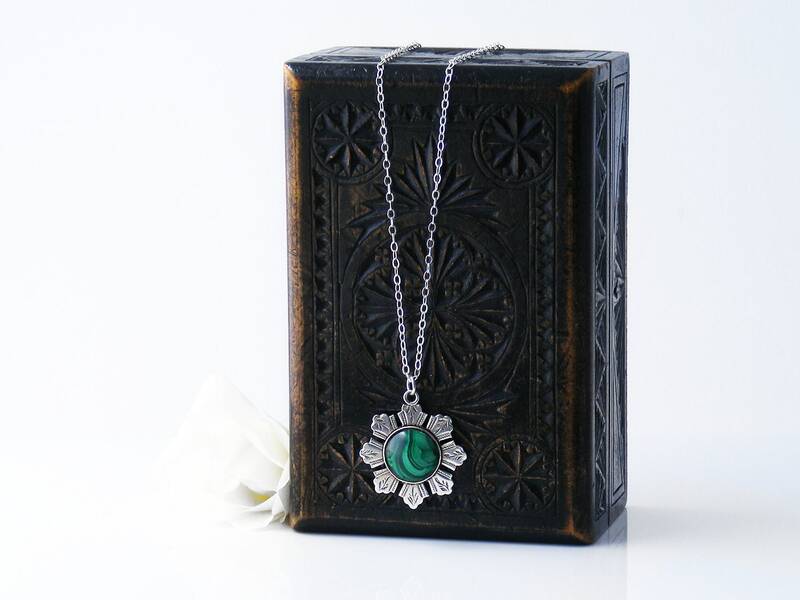 A gorgeous piece - nicely weighted and very attractive with the sparkly cabochon contrasting well with the silver.